We can see many people in the HTC forum asking for a way to get back their lost or deleted music files on HTC phones and many other people will reply to provide various solutions. If you are one of the people who have your HTC phone music files lost intentionally, make sure that do not use your HTC phone to take new music any more to prevent the lost music from being erased by the new data. Keep it original and find a HTC music recovery tool to rescue the lost songs. Just get the best HTC music recovery program: Coolmuster Lab.Fone for Android. 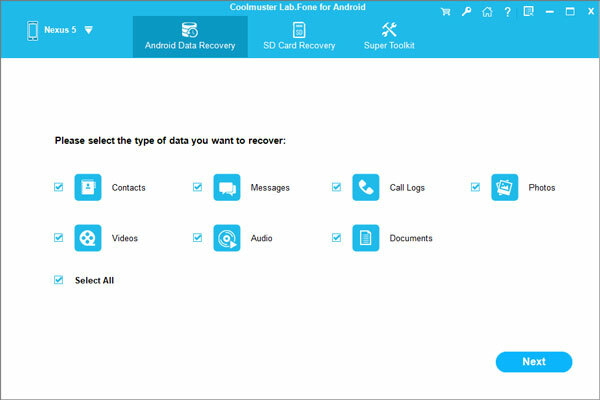 This is an Android-based data recovery program that specially designed to help you to recover lost music, videos, photos, contacts, text messages. Under the help of the program, you can get back your lost and deleted music files from HTC One M8/M9/Desire HD/Evo/Wildfire with ease. Just connect your HTC phone to the computer and follow the steps in the below. First of all, download the HTC music recovery program on your PC or Mac computer to get ready. How to Recover Deleted Music Files from HTC Phone? As you downloaded the free trial version of the HTC music recovery tool, you can install it on your computer and launch it. After that, you will be asked to connect your HTC mobile phone to the computer via USB cable and open the USB debugging on your HTC phone if you haven't opened it. 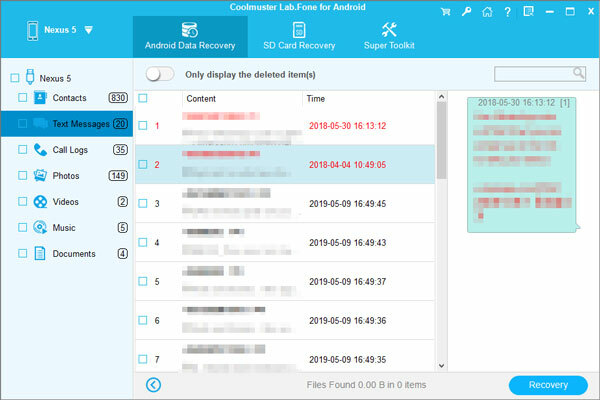 After you enabled the USB debugging, your device will be detected out and shown on the program window, with all types of files you can recover displayed. You can preview and choose the music files you want to recover. After chosen all the music files you want, start the music recovery process by clicking on the "Recover" button from the top line. You can choose a location to save the recovered music files and wait till the process ends.